Adult daily calorie consumption is "in the midst of [its] first sustained decline" since the feds began tracking it more than 40 years ago, per the Times. 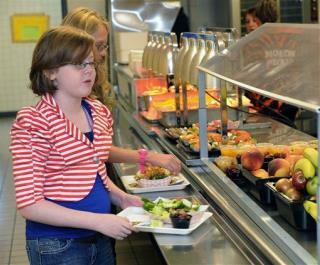 American children are cutting back even more on calories, by an average of roughly 9% since 2004. So how many calories are adults eating? Per this 2013 study, "Adjusted mean energy intake ... declined to 2195 kcal/d during 2009–2010" from "2269 kcal/d during 2003–2004." Non-diet soda consumption is down a whopping 25% since the new millennium; that said, the average American is still buying 30 gallons of full-calorie soda annually, as of 2014. The calorie changes are biggest in households with children, probably because the fight against childhood obesity is having an impact, experts say. Most big demographic groups are seeing changes, though whites have cut back more than Hispanics or blacks. Americans aren't exactly eating healthier—we still love desserts and don't eat many fruits or vegetables. The latter fact was made clear in the July 10 issue of the CDC's Morbidity and Mortality Weekly Report. It noted that only 13% and 9% of Americans hit the recommended daily targets for fruit and vegetable consumption, respectively, reports LiveScience. More bad news: According to the CDC, 34.9% or 78.6 million adult Americans are obese. It cites obesity-related conditions like "heart disease, stroke, type 2 diabetes and certain types of cancer." "Not true ! " -- The floor beneath the stage table at "The View."